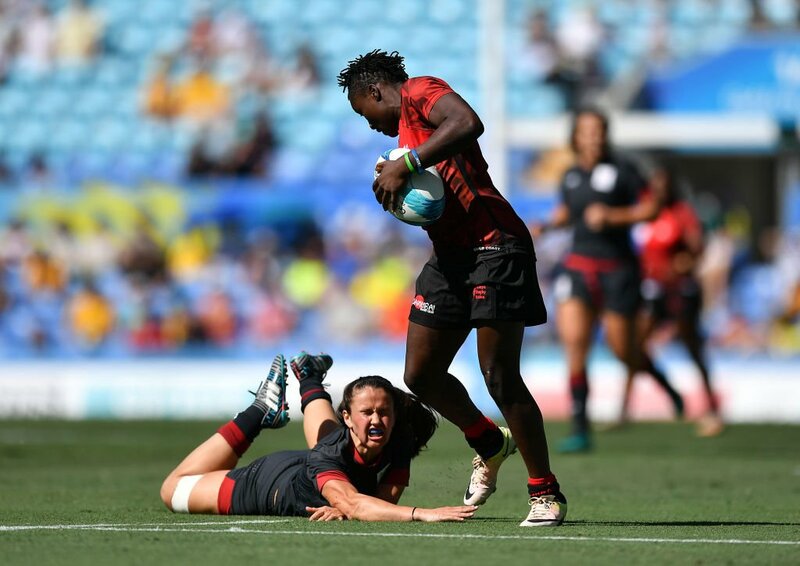 After missing out on the medal bracket at the 2018 commonwealth rugby games at the Gold Coast Australia, Kenya Lionesses earned a sixth place classification as Kenya 7s ended eighth as the games wrapped on Sunday 15 April. To be placed sixth, Lionesses lost 40-5 to Fiji in the match for fifth place as Shujaa fell 28-24 to Wales in the match for seventh place. Kenya Lionesses, with six Olympians in the squad, was placed third in pool A after defeats to eventual winners New Zealand and Canada to miss out on a chance to contest a medal at the semis. That sent the team down to the classification games where they eventually lost to Fiji. 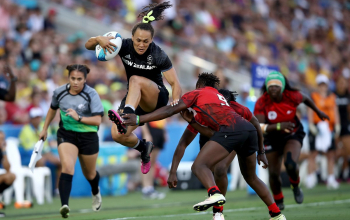 For a place in that final the Lionesses whipped out a 12-0 deficit against Wales to win their classification semis 14-12 while on their part Fiji beat South Africa 40-12. Two long-range tries, the first after Janet Okelo gathered her own chip and some great strength in the tackle by captain Philadelphia Olando saw her offload to Celestine Masinde to score the winner in the final minute for the 14-12 triumph. Lionesses could not much power and pace of the Fijians in the fifth place final but managed a second half try by Grace Okulu. Fiji led 26-0 at half time. Shujaa matched Wales' four tries in the seventh place final but still ended up as second best in their final contest at the Gold Coast. Willy Ambaka and Billy Odhiambo each grabbed a brace for Kenya and so did Thomas Williams for Wales. 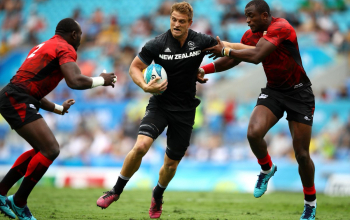 An Ambaka try and Eden Agero conversion sandwiched two Thomas Williams and Ethan Davies conversions for Kenya to trail 14-7 but Billy Odhiambo struck with a touchdown - Agero adding the extra to tie the game at 14-14 at half time. Ambaka went over once in the second half for Kenya to lead 19-14. Wales then stretched away with two tries from Luke Morgan and Luke Treharne - both converted by Angus O'brien and by the time Billy completed his brace it turned out to be a mere consolation. For a place in the seventh place final, Kenya had gone down 33-7 to Australia as Wales fell 19-12 to Scotland. Billy Odhiambo scored first, Agero adding the conversion for a 7-0 lead but Australia rallied to lead 12-7 at half time with a Ben O'Donnell and Maurice Longbottom tries. John Porch converted the first. further tries by Sam Meyers, Porch and O'Donnel in the second half - all converted by Porch handed Australia the win.